Aitutaki Activities , Cook Islands. Aitutaki activities are mainly water based; snorkeling, kayaking, paddling, sailing, diving, fishing, whale and turtle watching, and just getting out and seeing all the Motu's ( little islands ) the lagoon is famous for. Of course there are land based activities, visiting the villages, golf, shops and getting out and meeting the locals at sports or for a drink or two in the evening. fishing, whale watching, picnicking on beautiful beaches, sailing, kayaking, and much more. While snorkeling, you can view a myriad of colorful fish and see first-hand the giant clams of Aitutaki and the South Pacific; these clams are now protected in four separate reserves in the Aitutaki lagoon. Bone fishing is a thrill all its own - although we don't eat the fish they are truly a rush to stalk and catch. Fishing for pelagic species outside of the Aitutaki lagoon offers up Yellow Fin Tuna (Ahi), Dorado (dolphin fish), Wahoo, and array of jacks and snapper. Bring some of your catch back for the BBQ. At Matriki we practice fishing conservation - never kill what you can't eat in a few days, and never kill billfish. The local Aitutaki scuba diving operators will safely show you some of the Cook Islands best diving; they are safe, reliable, and very knowledgeable. Matriki has hobies for hire, sail the Aitutaki lagoon and discover what all the fuss is about for yourself. Your hosts are always there to answer questions, take you on tours, sailing adventures, fishing trips, and more. Dreaming of a Cook Islands vacation? Aitutaki will fill your days with sun, sand, and beaches. Aitutaki is Known as the Cook Islands vacation island and offers up spectacular beaches, and crystal clear turquoise waters. Matriki lets you enjoy this environment normally reserved for the more affluent travel by providing Aitutaki accommodations at budget prices. We are located on the same stretch of Aitutaki beach as the other more costly accommodations. 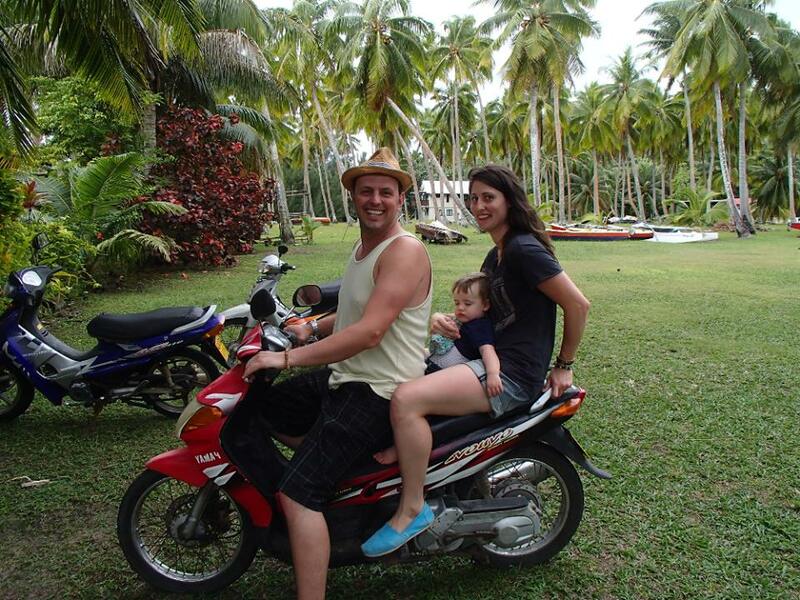 See what our guests have to say about a Matriki Cook Islands vacation! 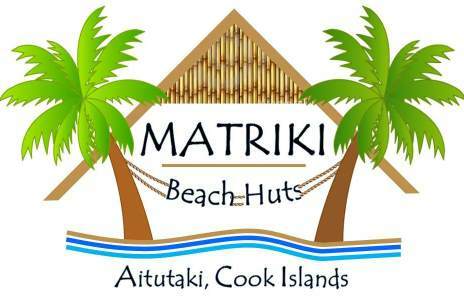 Matriki Beach Huts offers a wide array of activities to make your Cook Islands vacation special. Quick list of Aitutaki island and lagoon vacation activities. Whale and sea life viewing. Important list of things to bring. We'll take you on fabulous snorkeling, fishing, sight seeing adventures. Click here for complete details and pricing. 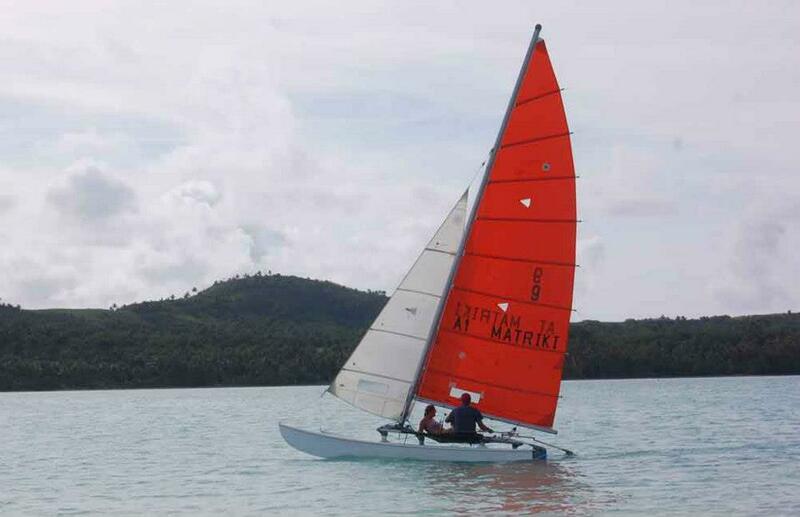 Sailing is a great activity of visitors to Aitutaki, Matriki Beach Huts has a few boats for hire, with or without captain. There is a Hobie 16 and a Hobie converted to power. Captain Ted at sailingaitutaki@gmail.com at Ootu is also available for sailing. Kitesurfing has also become very popular on Aitutaki during the windy season August to October. There are Kitesurfing schools and several ideal areas with shallow open water to learn and surf. Check out Aitutaki Kitesurfing online. Just check with your hosts on arrival or email ahead to book something. Snorkeling on the Aitutaki lagoon is a must for your activities list. If you enjoy this sport the lagoon offers unlimited possibilities. The water is warm all year around and crystal clear. Matriki Beach Huts has excellent snorkeling directly off the beach in front of our beach huts, in fact there are three coral banks within a few hundred yards of Matriki. Learning to snorkel? You couldn't ask for a more perfect environment then at Matriki Beach Huts. The water is only 5ft deep and there is no current. The splendid array of fish will keep you checking your fish ID chart for days. Make sure you bring a good mask, snorkel and fins, although we do rent masks, snorkels and fins if you would like to keep your baggage to a minimum. A wet suit is not necessary but I like to wear a shorty wet suit for the added flotation and sun protection. You may charter Matriki's 7m longboat, holds up to seven people plus guide/captain and spend a day snorkeling all corners of the lagoon or have a picnic lunch on a dreamy white sand beach. Click here to read about our snorkeling tours with Matriki Sea Adventures. Visit our in-depth snorkeling page for more on this great sport. Scuba diving, Matriki Beach Huts is not set up for scuba activities but we can put you in the hands of safe and very qualified local dive operator Bubbles below, Outside the Aitutaki lagoon there are caves, wrecks, coral formations and a myriad of fish species. Just let us know that you would like to do some diving and Matriki will get it arranged for you. Visit our in-depth Scuba Diving page for more on this great sport. Fishing, Some people like to fly fish the lagoon for the fun and exciting Bone fish (Albula Vulpes). These fish are a true anglers delight, screaming runs and long fights. Others prefer the open water outside the Aitutaki lagoon for pelagics, such as Dorado (mahi mahi), Yellow fin tuna, Wahoo, and bill fish. Fishing inside the lagoon requires a licence which you can buy at The Boatshed. 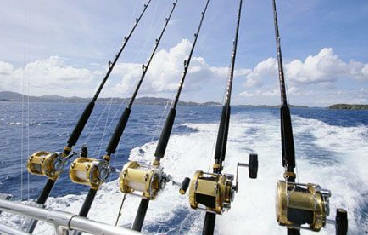 Matriki Beach Huts offers fishing trips outside the lagoon which does not require a licence. Note: We do not allow or promote any killing of the bill fish species! Click Here to read about our Fishing charters with Matriki Sea Adventures. Humpback Whale watching in the Cook Islands is another must for the activities list in July to October, also just generally taking in all the beautiful creatures of the Aitutaki Lagoon and surrounding area. There is a good chance of seeing eagle rays, turtles, GT's and much more. Ask about tours at time of bookings or when you get here. 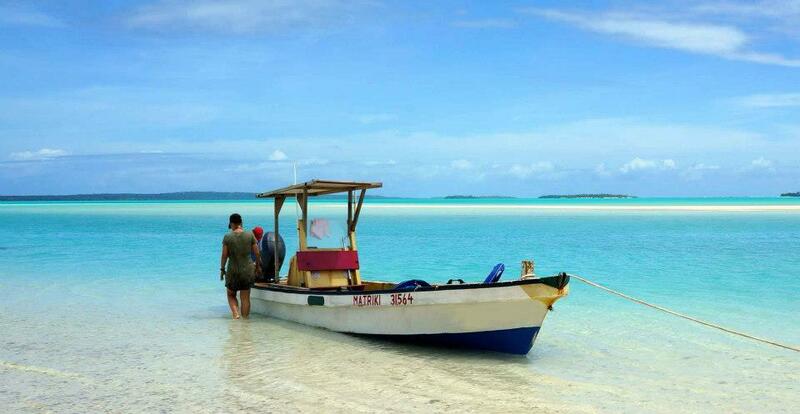 Picnic tours to the Motu's (little islands) on the Aitutaki Lagoon is a great way to just chill out and let the day unfold.You can be dropped off on a little beach all to yourselves, kick back and throw your watch in the bottom of your bag. You may also choose to get a group together and hire the longboat (with captain) and be shown the best spots for these activities. Massage, Reiki and EFT: Riki is back on the island. She offers massage, Reiki, energy work or an intuitive mix of these. She also is a qualified EFT practitioner offering EFT sessions for those who wish to improve their personal emotional wellbeing along with their physical wellbeing. Rent a kayak and see the Lagoon at your own pace. Kayaking is so peaceful, it lets you get close to the animals and birds without disturbing them, not to mention its a good way to burn a few calories. Or joint the paddling club and explore the lagoon in a vaka, an outrigger canoe. 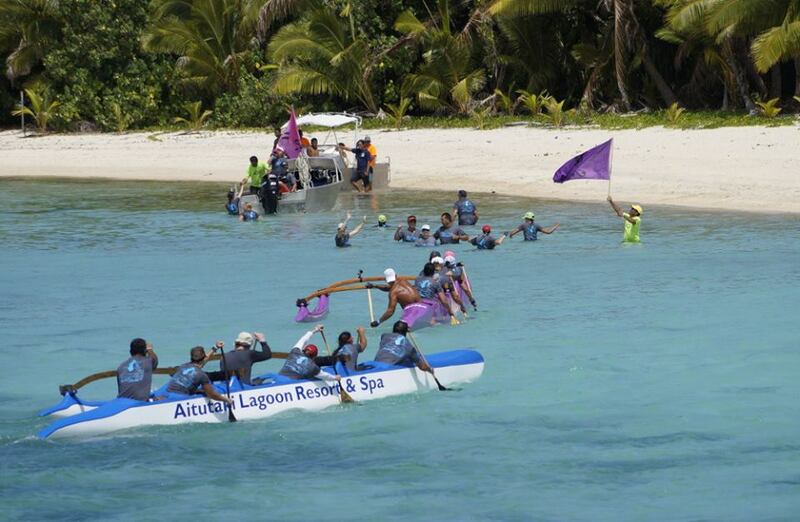 You can also join the local clubs for their training sessions in a 6 man vaka in preparation for the yearly Vaka eiva races and the Aitutaki motu to motu race that attracts teams from all over the world. Renting a scooter or bike is fun and a great way to see Aitutaki, meet the locals and see the shops and other sites. But don't do what you see on the picture as the police may fine you. We have scooters and bicycles for rent on site at Matriki Beach Huts. You really should budget for a scooter or bike rental as you will want to be able to zip here and there to get food supplies and see Aitutaki the way the locals do. While visiting Aitutaki you will want to see the quaint shops and bars, this is also a good way to meet some locals or other vacation minded people. Matriki Beach Huts does not offer restaurant service but it is only a short walk to some fine eateries. Dining out...Aitutaki has several delightful options for dining out lagoon side. We list a few here for your consideration. The Boat Shed Bar and Grill has an extensive menu and prices for dinner range from $18 upwards. There are views over the reef to the ocean and even a chance to see passing whales in season. More. Island buffet feast and dance show- in the price range from NZ$65 per person are available at Are Tamanu not far from Matriki Beach Huts, sometimes Puffy's and at Aitutaki Village. Otherwise it's at the Pacific resort on Friday nights at $95. Aitutaki Village has either a 3 course meal r buffet and dance show on Tuesday nights at their Blue Lagoon restaurant. 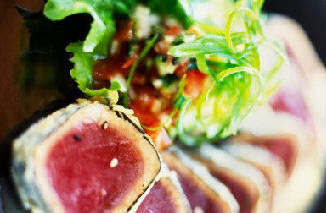 Open all day 7 days per week for good meals in a beachfront setting with views over the lagoon. For a good coffee with cake there is Tuauno’s Garden Café about 100m north of Matriki Beach Huts, walk through the garden with Sonja cutting fresh herbs as needed and picking fruit and veggies, all organic, it's as much an island history lesson as it is shopping. The Aitutaki Lagoon Resort serves nice meals in a great setting with views over the big lagoon. You need to book to be able to cross to the private island. Unfortunately no kids allowed. Koru Cafe is a great spot for that capuchino, breakfast and lunch. They also deliver meals to your huts and sell BBQ and Picnic baskets. For those who don't want to go far - Are Tamanu next door have a restaurant open all day - their island night on Thursdays is famous for their fire dancing show. The Pacific Resort, a 15 minute walk down the beach, has a reastaurant and beach bar with happy hour. There are several takeaway and eat-in fish and chip or burger places along the road from the airport into town for those who want a quick cheap meal, Mango is good value and offers mean cakes,not to forget the Aitutaki Game Fishing Club. This list is for things that it would be wise to have, it does not include regular everyday stuff. 1. 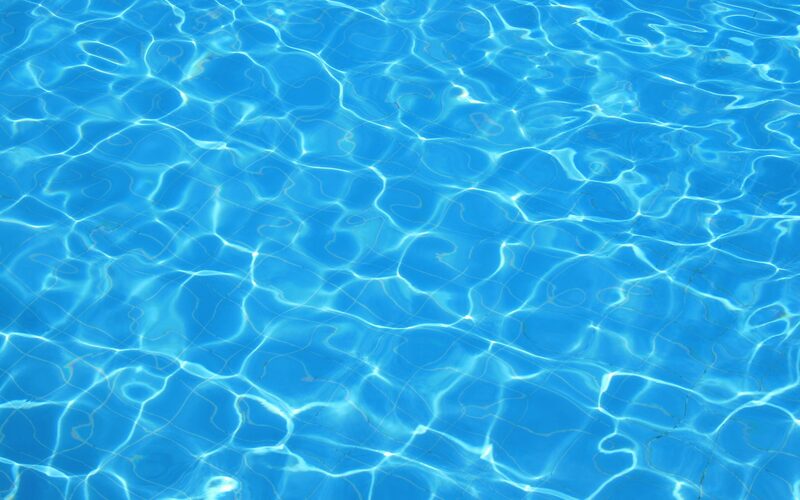 Sun screen, a water proof type would be good for snorkeling. 2. One good wind breaker, does not need to be insulated. 3. One pair long pants, light as possible, (wind breaker style). 4. Personal flashlight, with spare batteries, (waterproof is best). 5. Waterproof watch and or alarm clock. 7. 3 - lightweight shirts, or sun shirts also good for snorkeling. 8. Shoes, 1 water sandals, or wetsuit booties, light pair runners. cheap pair of extra sun glasses is a good idea. 10. Extra prescription glasses if you wear them. 11. hats (with chin straps). 12. Bug repellent, 15% deet is great, anymore % deet is not necessary. 13. Power converter for 220v down to 115v if coming from North America. 14. Feminine napkins and the like. Aitutaki Activities, Matriki beach huts, Cook Islands, Aitutaki, vacation.